Welcome to the Great Pacific Northwest, a region of the United States where the geography and landscapes are unique to America and vary dramatically within the region. 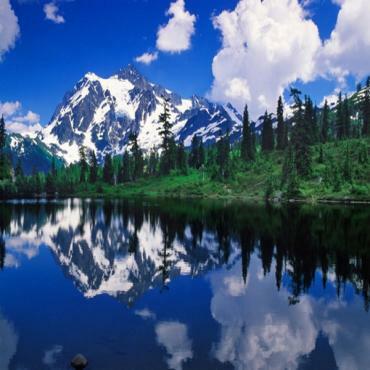 Several majestic mountain ranges including the Coast Mountains, Cascade Range, the Olympic Mountains and the Columbia Mountains dominate the region. 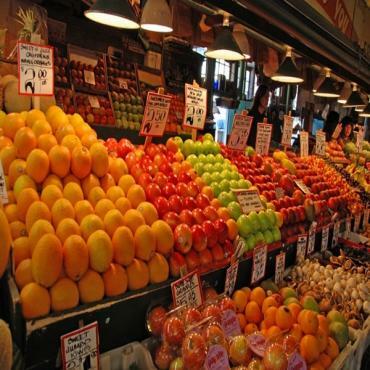 Welcome to Portland, the City of Roses, recently voted North America’s Best Big City by Money Magazine. The culturally rich downtown are surrounded by small, intriguing neighbourhoods, each with a unique flavour and heritage. The city has been dubbed the country’s best eating destination, America’s most sustainable city and more. 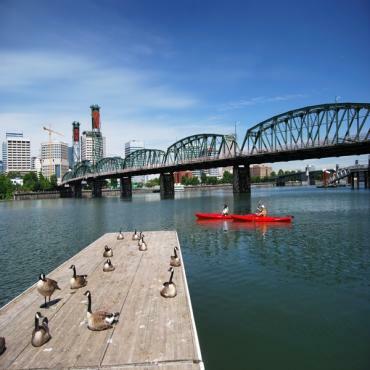 Portland is in the heart of the Pacific Northwest, a bioregion very distinct from the rest of the American West. 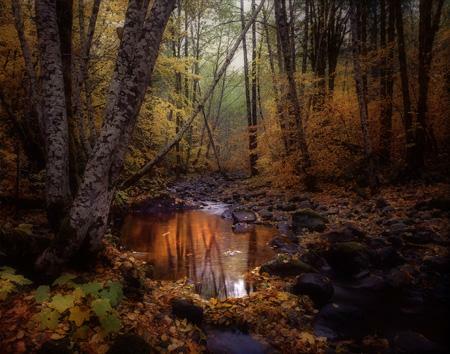 It has the world’s largest cold jungle or temperate rain forest, alongside other wild landscapes, punctuated by Victorian villages and small seaport towns. You’ll be joining a long line of English visitors who have been travelling here since Sir Francis Drake landed in 1579. Some in the US consider Portland to have the best quality of life of any city. You’ll find the arts, nightlife and fashion thriving in The Pearl District, the cultural heart of downtown. 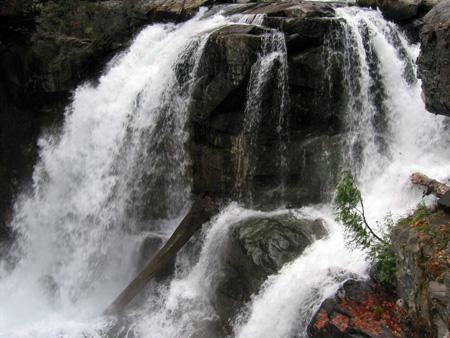 A second day in Portland gives you an opportunity to explore more of the world class collection of attractions. You can visit Asia without crossing the Pacific Ocean at the Classic Chinese Garden and Japanese Garden and enjoy the International Rose Test Garden. Pittock Mansion was built by the local lumber baron who stripped the Pacific Northwest of forests. The natural resources were ultimately revived and preserved by the most environmentally conscious region in the country. The Oregon Museum of History and the Oregon Museum of Science and Industry tell the rest of the story. There are many great restaurants to try that surround Pioneer Courthouse Square. Musical performances, art shows, theatre and cultural highlights are a daily event. 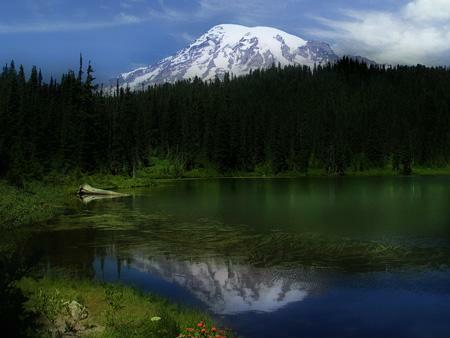 North of Portland, a very scenic side trip will take you to Mount St. Helens. On Sunday, May 18, 1980, a massive avalanche of rocks and debris came crashing down on 230 square miles of forested land and changed the landscape forever. Photographs and exhibits at the Mount St. Helens Visitor Centre at Silver Lake, near the entrance to the Monument, introduce visitors to the Mount St. Helens story. State of the art interpretive displays at the Johnson Ridge Observatory magically portray the sequence of geologic events that transformed the area and the 25 years of change that have occurred since that time. You can learn more of the story at the Coldwater Ridge Visitor Centre. 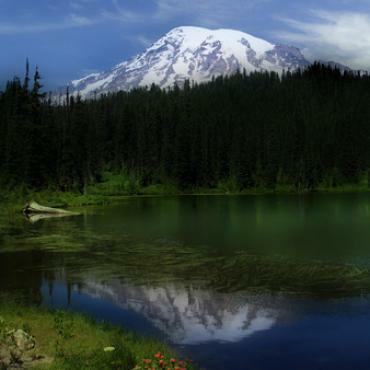 If you anticipate hiking about 4,000 feet, you will need a permit to climb Mount St. Helens. Take plenty of time to explore. Magnificent Mt. 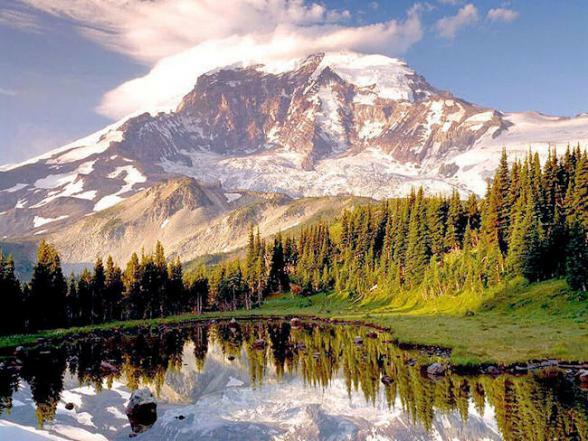 Rainier, an active Cascade volcano encased in 35 square miles of snow and glacial ice, is the highest peak in Washington. 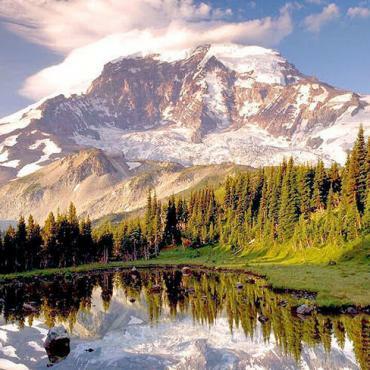 Here, you can walk in the footsteps of the many explorers who climbed Mt. Rainer. 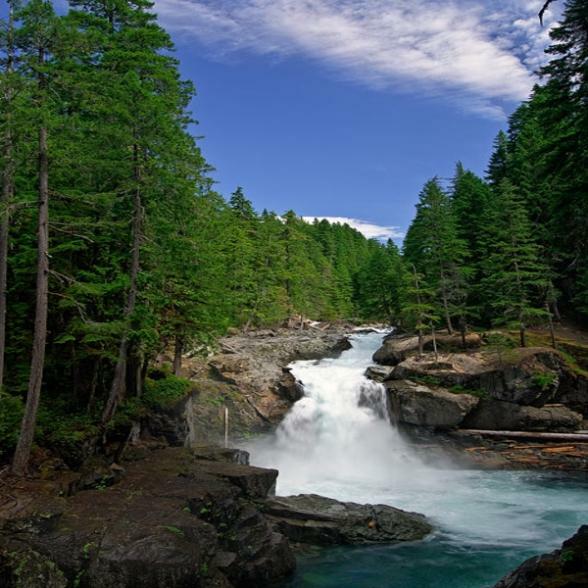 Explore glaciers, discover life in the rain forest, hike the Wonderland Trail, experience sub-alpine ecology, watch clouds shroud the mountain, meander through old growth forests dating back over 200 years, visit rustic historic buildings and listen to glaciers crack. Today it’s on to Olympia and Aberdeen, the gateway to the Olympic Peninsula. Halfway in between Mt. Rainier and Aberdeen, you can visit Olympia, Washington’s State Capitol. Thirty acres of immaculately landscaped rose gardens surrounding the Capitol Building make this one of the most beautiful capital districts in the country. The State Capital Museum, located in the historic Lord Mansion, interprets the history and culture of Washington beginning with the region’s Native Americans. Beautiful gardens also surround this museum. 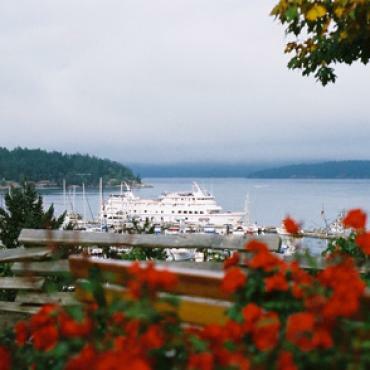 After a scenic drive between Olympia and Aberdeen, you’ll reach the Pacific Ocean and the true gateway to the Olympic Peninsula. Tomorrow, you will begin exploring the dramatically varying landscapes of the Peninsula which are dressed in endless lush variations of the colour green. 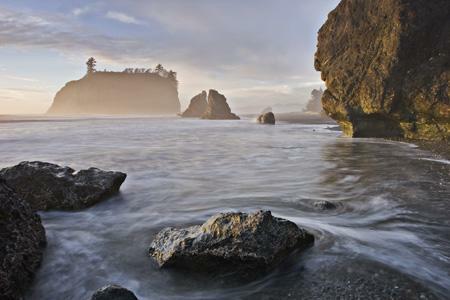 The diverse blend of climates and natural wonders of the Olympic National Park encompass nearly one million acres of the Olympic Peninsula. As you navigate the Peninsula loop drive, the landscapes changes seamlessly from primeval rain forests, subalpine meadows, and glacier capped mountains to clear running streams, sandy beaches and shoreline coast. Cultural diversity is present in the heritage of the original Native Americans who lived in the area, coexisting peacefully with fishing villages and a Victorian seaport or two. You’ll soon discover that this is one of, if not the, most heritage and naturally rich and varied region in the United States. 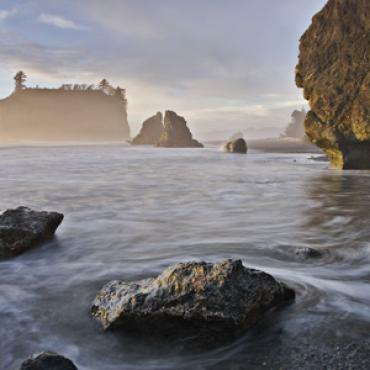 You begin the drive in Aberdeen and end in Port Angeles, gateway to Olympic National Park. Take some time to explore both the Visitors Centre and the museum. The scenic drive around the Olympic Peninsula is a virtual panorama of unfolding ecosystems, each a part of the greatest true remaining wilderness forest in America. The spectacular Olympic Mountains, the centrepiece of the Peninsula, form a circular range in the central area of the park. The ice and snow covered slopes are a great contrast to the deep green forested areas of the lower elevations. The Quinault Rain Forest, and the ever present mountains, are an even greater contrast to the 57 miles of Pacific coastline that are part of the Park. Ruby Beach, covered with driftwood and rocks, features prominent views of the seastacks, remains of the headlands that used to be attached to the mainland and now protrude from the sea. Take a side trip to the Hoh Rain Forest visitors centre deeper in the interior of the Park, about 30 miles south of Forks, to learn more about the west valleys that are drenched in more than 12 feet of rain each year. Portland was on its way to becoming the undisputed capital of the Pacific Northwest when settlers landed at Alki Park, in what is now Seattle, in 1851. 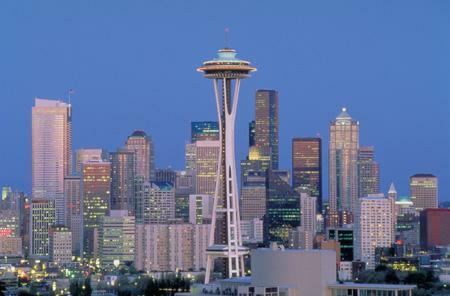 Today, it is Seattle that claims the title of the undisputed capital of the Pacific Northwest. The city has seen gold rushes and labour strikes, business booms and busts, fires and earthquakes, only each time to bounce back even stronger. With the original descendants of the settlers now as entrenched in the Pacific Northwest as a red flannel shirt, Seattle has developed a rich and diverse multi-cultural mix that is overlaid with the sophistication brought by several of America’s largest corporations including Boeing Aircraft, Microsoft and Starbucks. 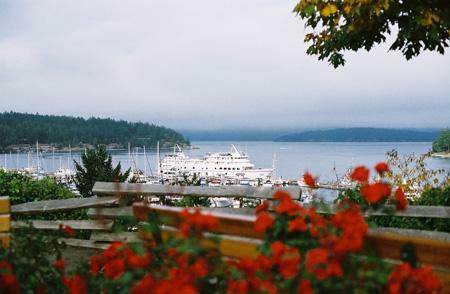 It’s a short drive from Port Angeles to Seattle, leaving plenty of time to begin exploring this very special city. 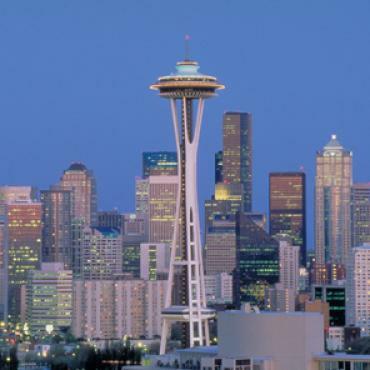 If you didn’t have an opportunity yesterday, it’s time to scale the Space Needle, watch fish being pitched at Pike Place Market and explore sections of Seattle’s original downtown that were destroyed by fire in 1889 by taking the Seattle Underground Tour. Alki Beach, the original landing place of Seattle settlers, stretches for two miles along West Seattle. Be here when Bumbershoot, Seafair or one of the other major community events take place and prepare for a great celebration. The National Geographic calls the North Cascades Highway, in Washington, one of America’s grandest and most spectacular drives. We’re confident you’ll agree as you travel over Washington Overlook Pass in North Cascades National Park and on to Chelan. The glaciers in North Cascades National Park are up close and personal and so are jagged peaks, deep valleys and cascading waterfalls. 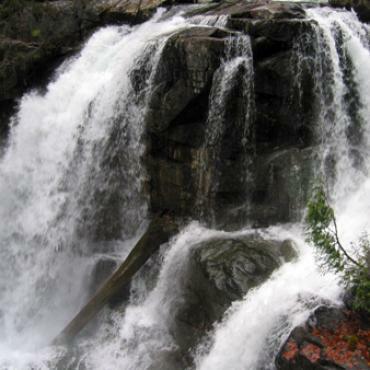 There are so many dramatic waterfalls in this National Park that it was named for the endlessly rushing water that laces its mountainsides. The three million acre preserve was specifically established to protect the snowfields, glaciers, and alpine meadows of the high mountain country from any lumbering operations, leaving a pristine road less travelled for visitors to enjoy. For a break, stop in Winthrop which looks like it just stepped out of a Western movie set, or Twisp, great for Western art. Driving straight south from the Cascade Mountains, you’ll reach Yakima, Washington, the wine capital of Washington State. Winery hopping in the Yakima Valley can be an unforgettable journey of delight and discovery. The sun-soaked Washington wine region is at the same latitude as the great wine-producing regions of France, producing magnificent vineyards laden with rich grape varietals. Enjoy spending the afternoon savouring the tastes. Today, on your way from Yakima to The Dalles/Hood River area, you can take time to explore Toppenish, where 65 historic murals reveal the story of the city’s heritage. From there you have the option to travel straight south to The Dalles or go to the Tri-Cities, Walla Walla and other points, east before turning south. Either way there are wineries and other places to visit along the route. A bit farther south, it will be apparent when you have reached the Columbia River Gorge, an 80-mile long geologic wonder that forms the border between Oregon and Washington. The cliffs rise as high as 4,000 feet. The canyon-like walls of the Gorge create ideal conditions for windsurfing. 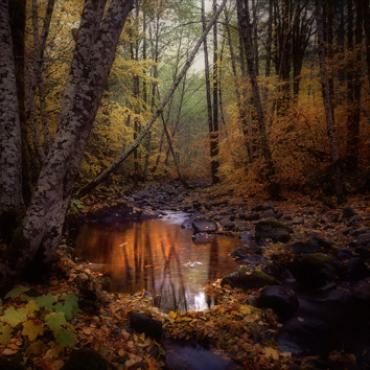 The Columbia Gorge Discovery Centre is the official interpretive centre for the Columbia River Gorge National Scenic Area. 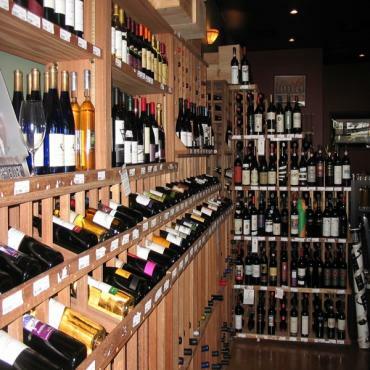 Nearby Hood River and The Dalles are also replete with wineries. A different climate here delivers a different taste. A series of scenic roads unfolds as you make your way to the Columbia River Gorge and Hood River. No visit to the area would be complete without experiencing the Columbia River Gorge Discovery Centre with 50,000 square feet of exhibits, art, Native American and immigrant crafts, plus narrated presentations. Free guided tours of The Dalles historic area take you past the stunning 1897 St. Peter Landmark, the Baldwin Saloon, old Ft. Dalles and Pulpit Rock. The Hood River area is also particularly well known for its great wineries. Want to meander through unforgettable scenery and lose yourself on a serene road less travelled? Explore historic towns where the pace is gentler. 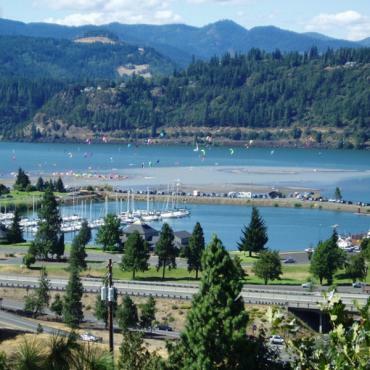 Drive the Columbia River Historic and Scenic Highway and you’ll be taking the old road; the one with the most spectacular scenery, the highest waterfalls and the best views of the Gorge. 620 foot Multnomah Falls is only one of dozens of waterfalls that dot the roadway. In between, you can have an elegant lunch at a National Historic Landmark resort at the edge of the Gorge and savour the wines of area wineries, also with wonderful views. Some consider the natural beauty of this road the best in the US. It’s a great way to wrap up your inspiring trip through Oregon. 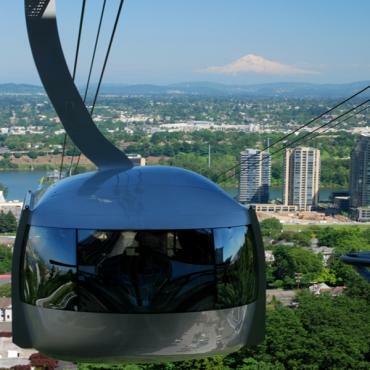 Today, before leaving the dramatic natural scenery and cultural richness of the Great Pacific Northwest, spend one more day exploring the best of Portland. Take one more glimpse of Mt. Hood before you head back home. However, your journey does not have to end here. Why not extend your stay and fly down to California for some shopping, or perhaps cross the border into Vancouver, Canada? Call the travel specialists at Bon Voyage to discuss your ideal Great Pacific Northwest adventure.